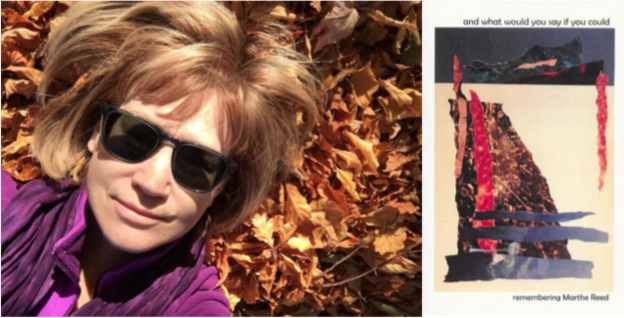 Editorial note: We were saddened to learn of Marthe Reed’s passing last spring, and in the weeks following her death, Jacket2 editors reached out to Linda Russo, who with Marthe is coeditor of the recent volume Counter-Desecration: A Glossary for Writing Within the Anthropocene. 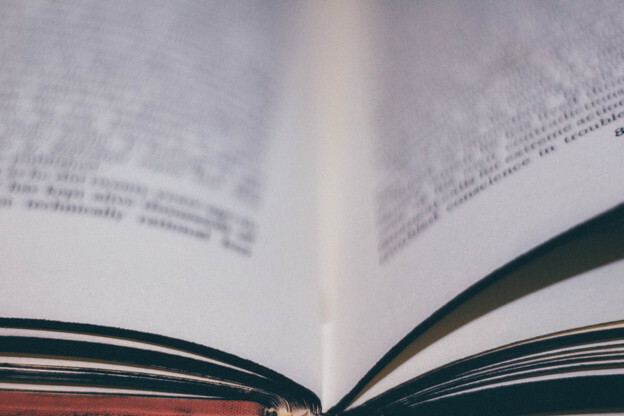 Editorial note: We were saddened to learn of Marthe Reed’s passing last spring, and in the weeks following her death, Jacket2 editors reached out to Linda Russo, who with Marthe is coeditor of the recent volume Counter-Desecration: A Glossary for Writing Within the Anthropocene. 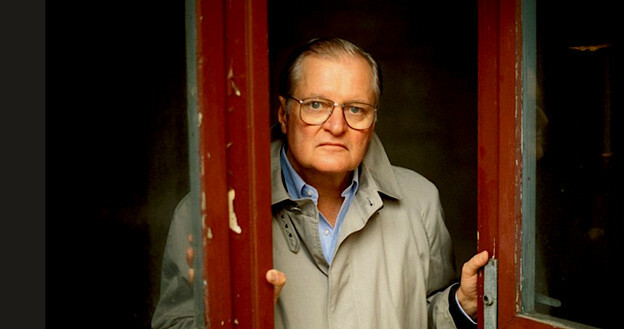 Linda responded by sharing with us excerpts from a panel that convened at the October 2018 &Now conference in Notre Dame, Indiana, devoted to Marthe’s work. A note on Marthe’s work and those panel excerpts appear below. Jacket2 welcomes unsolicited queries during the month of January 2019. Jacket2 welcomes unsolicited queries during the month of January 2018. 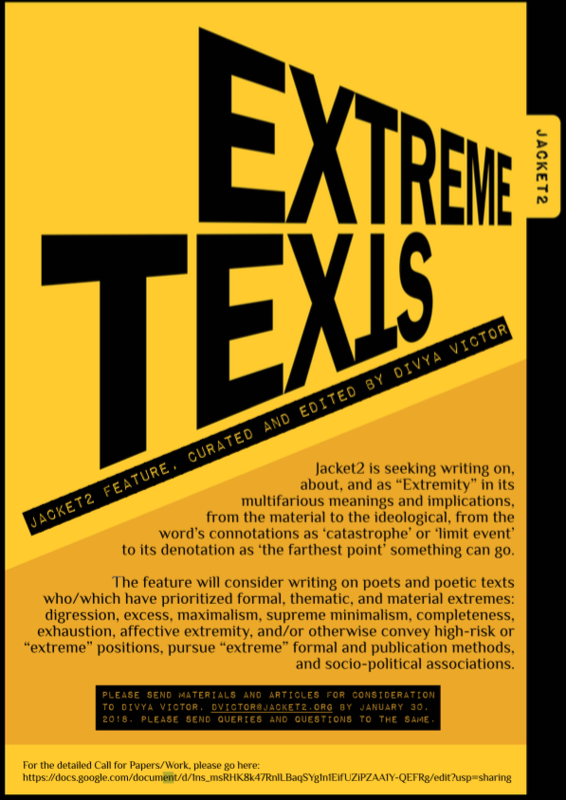 Jacket2 is seeking short scholarly articles, essays, belletristic documents, creative responses, and ephemera concerned with “Extreme Texts.” This call welcomes writing on, about, and as “Extremity” in its multifarious meanings and implications, from the material to the ideological, from the word’s connotations as “catastrophe” or “limit event” to its denotation as “the farthest point” something can go.